Pre-Purchase Buyer Inspections: Edwards, Vail, Silverthorne, CO | True Perspective Home Consultants, Inc.
Are you confident in your home purchase? You think you’ve found the perfect home – but you shouldn’t sign any paperwork or close the deal before doing your homework. Call on True Perspective Home Consultants, Inc. to conduct a pre-purchase inspection of the house in question. We’ll inspect it from top to bottom, inside and out to help you determine whether the house is worthy of your investment. 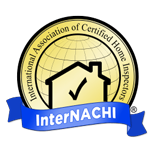 Contact us at 970-390-5827 to schedule a pre-purchase inspection. We service Vail, Avon, Beaver Creek, Eagle, Gypsum and Edwards, CO areas. Hire True Perspective Home Consultants, Inc. to inspect your future home. Fill out the following information to the best of your ability and we'll contact you with an estimate. Otherwise, you can send us a quick message or question in the form below. Copyright © 2019 True Perspective Home Consultants, Inc., all rights reserved.